BL Building and Remodeling has worked with J&M Concrete for about a decade, going to them for all our concrete needs. We have come to respect their integrity and reliability, as they have always managed to come through with exceptional products. Last summer I interviewed and received four quotes from Concrete Companies for a basketball court project in the backyard of my residence. I selected J & M Concrete because of Mike McNabb’s willingness to “customize” the project. Mike also had a lot of experience with similar projects and we included a lot of his ideas into the final plan. We couldn’t be happier with the final outcome. J & M did an outstanding job from set up, clearing land, setting forms, pouring concrete, leveling to final brush finish. I also appreciated the extra care J & M took to protect my lawn and landscape throughout the project. J & M Concrete was on time, on budget and great to work with. 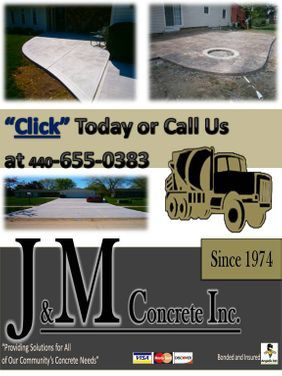 I recommend J & M for any concrete work. I’ll be using them again when needed. the best results, the ground still needed time to settle. He offered to install some compacted gravel, so that we had a walkway into the house for the winter months. He laid down forms and created an actual walkway with the gravel. In the spring, he came back and completed the job. I was really impressed with the finish work that Mike and his crew did with the walk. He did a decorative trowel finish and hand cut the joints. It’s obvious he takes pride in his work and our walkway looks great. I would recommend J&M, they take the time to do it right. I love when a company can do quality work that compliments mine, which is why I always recommend J&M Concrete"! Jim and Mike are very approachable and educated in what they do. I was very pleased with the quality of work they did on my driveway. I will call them again for future work. I have seen such growth in J&M Concrete throughout the 30 plus years of working with them. 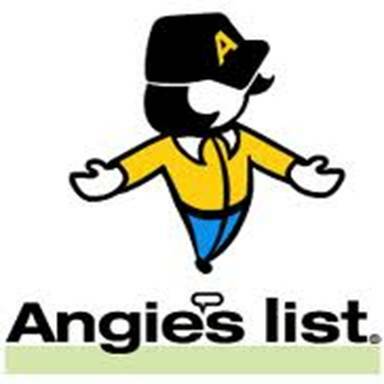 They are always my #1 recommendation for concrete work. Mike McNabb of J&M Concrete came out to our house and measured the job and gave us a fair estimated within our budget. He and his employees completed the job in a timely manner and cleaned up all debris and were very polite and neat while working. Honest plus fair prices plus dependable equals J&M Concrete.